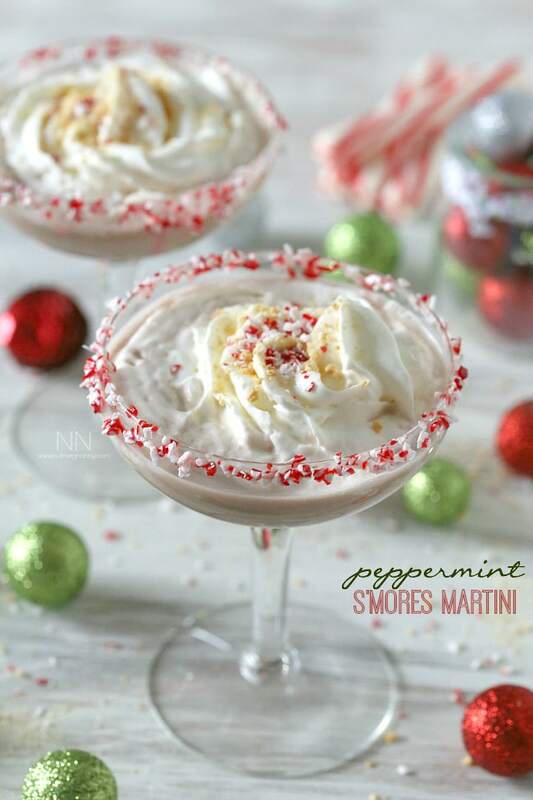 This peppermint s’mores martini is the perfect balance of adult chocolate milk deliciousness and holiday peppermint goodness. S’mores always seems like such a summer thing to me. With all that melted marshmallow, chocolate and graham how can you not think of summer bonfires? So what happens in the middle of the winter when you are craving a cocktail and s’mores? You combine them – duh. 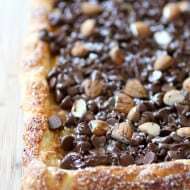 Plus who doesn’t think the idea of peppermint and s’mores sounds totally rockin’? I know I have said this before but I simply can’t help but think about The Sandlot anytime I say the word “s’mores.” It’s basically impossible for me. FOR-EV-ERRRRRR it will be a problem. Now in true confession I have to admit that I got this craving for s’mores because I was flipping through the new David Venable book – Back Around the Table: An “In the Kitchen with David” Cookbook. It’s a great book full of hearty dishes that remind you to take a second and get back to the table. That means no more sitting in front of the TV while you trying to balance your plate in your lap. Bonus, when you drink at a table with friends that can turn into a great time to tell stories and play a few rounds of card games. I’m pretty sure I’m a little old lady trapped in a 30 something body. I could play cards all night long and never get bored. Drinks + food + sitting at the table = laughter, card playing and fun. 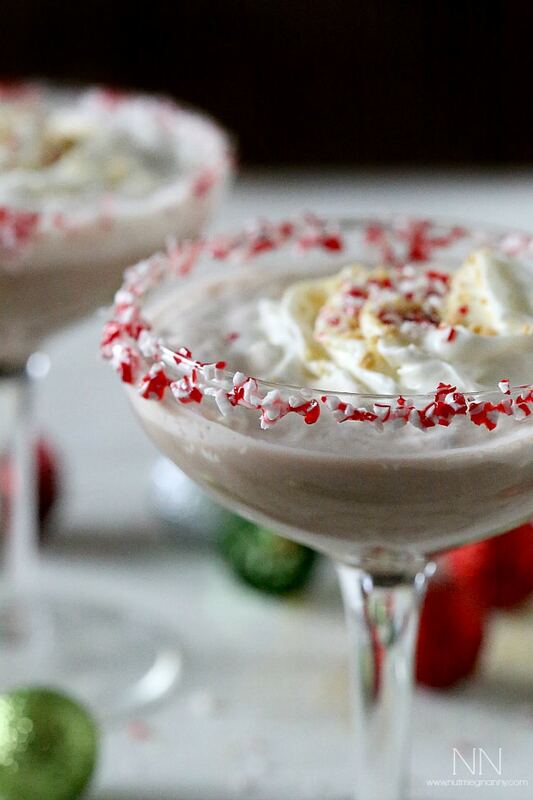 This peppermint s'mores martini is the perfect balance of adult chocolate milk deliciousness and holiday peppermint goodness. Put vodka on a small plate. Place the crushed candy canes on another small plate. 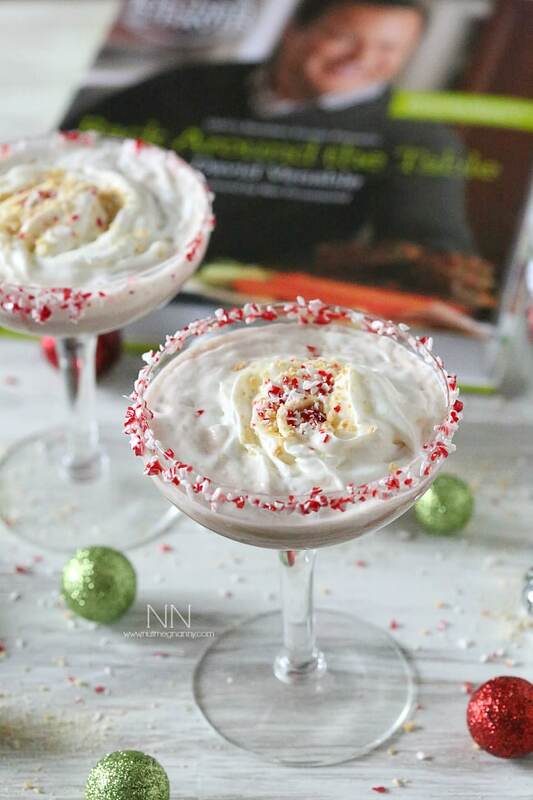 Dip the rims of two martini glasses in the vodka, then dip the rims into the candy cane crumbs. Turn the martini glasses right side up. Toast marshmallows over an open flame or using a lighter. Add 1 marshmallow into each martini glass. Top with whipped cream, additional crushed candy canes and crushed graham crackers. Note: adult chocolate milk is something you can find in the liquor store. It's basically boozy shelf stable chocolate milk. So what happens in the middle of the winter when you are craving a cocktail and s’mores? You combine them – duh. Plus who doesn’t think the idea of peppermint and s’mores sounds totally rockin’? I know I have said this before in posts but who cannot not think about The Sandlot anytime they say the word “s’mores.” It’s basically impossible for me. Mmmm, I especially love that candy came rim!! That is the prettiest holiday cocktail I’ve seen this year! 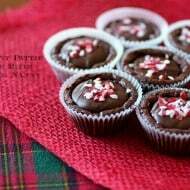 It would be perfect for our New Year’s get-together with our friends. Ooh that is so creative. Such a festive way to dress up the cocktail for the holidays. oh my gawd, it’s a party in a martini glass!!! I love these, Brandy!!! These look and sound incredibly festive! Cheers to you, Brandy for another winning recipe (and photos). 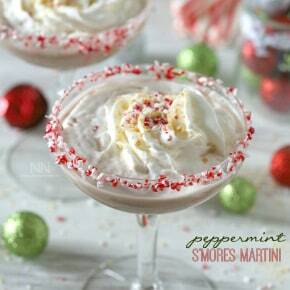 I have a peppermintini on my blog this week or next, and now I want to retake ALL THE PICTURES. 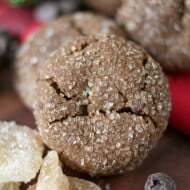 (our recipes are completely different, but our rims are the same.) You and Gina always make me want to step up my picture game. Then I remember I don’t care that much. I’m going to endeavor to care. What a wonderful martini and isn’t that cookbook great! This is the most beautiful martini I’ve ever seen! S’more that involve peppermint and alcohol are definitely the perfect cold weather cocktail!